Chaetoceros sp. is one of the largest genus of marine planktonic diatoms with approximately 400 species. 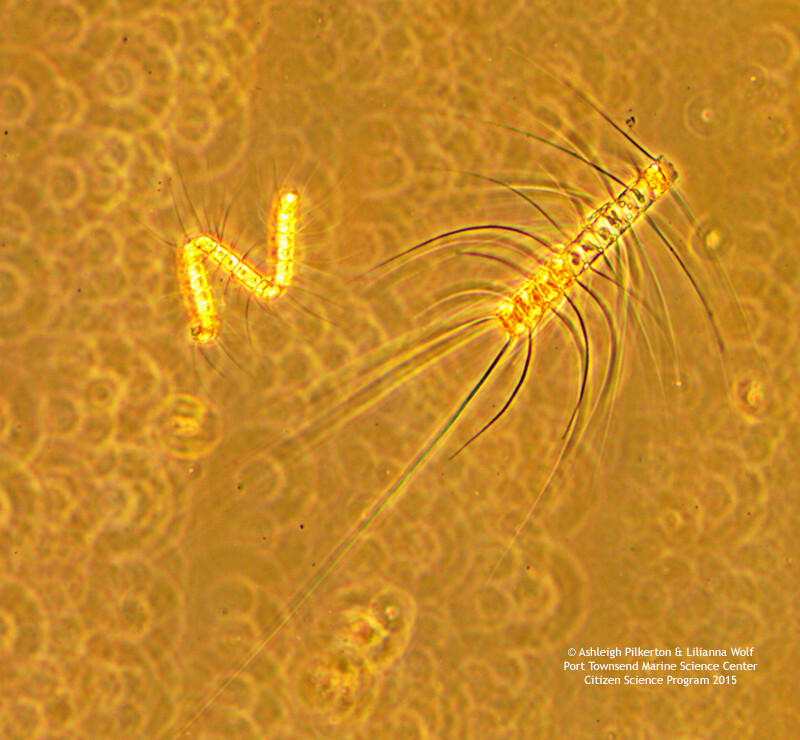 Chaetoceros is a centric diatom with very lightly silicified frustules. Each frustule posseses four long, thin spines (setae). Setae link the frustules together to form colonies of several cells. The images below of Chaetoceros sp. were collected at Fort Worden in Port Townsend, Washington, USA by Ashleigh Pilkerton and Lilianna Wolf for the Port Townsend Marine Science Center (2015 Citizen Science Program). Brightfield image Chaetoceros sp. captured under the microscope. 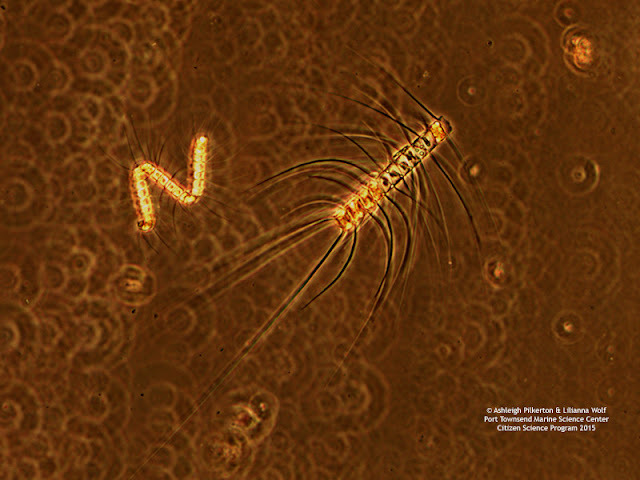 Darkfield image of Chaetoceros sp. captured under the microscope.